PUNE: According to the data, the leasing activities in Chennai rose sharply to 3,11,088 sq ft during January-September 2017 from 85,857 sq ft in the year-ago period. Leasing of retail space in malls rose by 55 percent to nearly 23 lakh sq ft during January- September period this year in the eight major cities on better demand, according to property consultant Cushman & Wakefield. However, the supply of space in shopping malls fell by 63 percent to 19.5 lakh sq ft during the first three quarters of 2017 calendar year compared to the same period last year. These eight cities are Delhi-NCR, Mumbai, Kolkata, Pune, Chennai, Hyderabad, Bengaluru and Ahmedabad. According to the data, the leasing activities in Chennai rose sharply to 3,11,088 sq ft during January-September 2017 from 85,857 sq ft in the year-ago period. Leasing of space in Hyderabad stood at 3 lakh sq ft in January-September 2017 against nil in the same period of 2016. Shopping malls in Bengaluru saw 70 percent increase in leasing at 5,07,250 sq ft in the first three quarters of this calendar year, followed by Kolkata that witnessed 55 percent rise at 2,76,181 sq ft. The leasing of retail space in Delhi-NCR's shopping malls rose by 31 percent to 4,71,456 sq ft in January-September. Mumbai and Ahmedabad saw 5 percent growth in leasing at 1,68,770 sq ft and 1,50,420 sq ft, respectively. However, Pune was the only city that witnessed decline in leasing of space in shopping mall at 1,11,800 sq ft, down 57 percent from the corresponding period last year. "With the estimated size of retail sector pegged at Rs 1 trillion by 2020, at an approximately 15 percent CAGR between 2016-2020, the scope for retail real estate remains high," C&W India Country Head and Managing Director Anshul Jain said. With foreign retailers entering the country and expanding aggressively, he said brands prefer to open shops in malls that are likely to see higher occupancy levels. 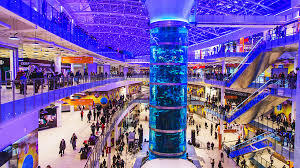 "Hence, over the next few years, investors will be on a lookout for professionally managed, well-run malls that would witness yields improving and rental values inching up, thereby improving returns for investors," Jain said. The consultant also said that as many as 34 new shopping malls, covering 13.6 million sq ft area, are expected to come up in these eight cities by 2020. Hyderabad will see maximum 11 malls by 2020, followed by Delhi-NCR 8 malls, Bengaluru 6 malls, Chennai 4 malls, Kolkata and Mumbai 2 malls each and Pune one mall. No new supply is expected in Ahmedabad. "There is now a regained confidence amongst developers to pay heed to this sector as investors show greater commitment towards it," C&W said, adding that an estimated Rs 7,959 crore has been invested by private equity funds in malls since 2016.